HMD Global, which is making the phone by the name of Nokia New Delhi , has launched Nokia 8 Sirocco, Nokia 8110 4G, Nokia 7 Plus, Nokia 6 (2018), Nokia 2.1, Nokia 5.1 and Nokia 3.1 smartphones in India this year. Now the company has screened the Nokia 6.1 Plus smartphone in the country. 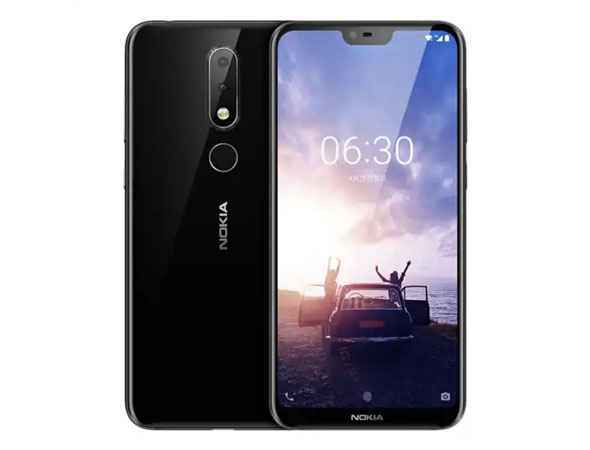 Nokia 6.1 is the global variant of Nokia X6 launched in China, which comes with Nokia. The part of Google's Android One program, Nokia's phone is priced at Rs 15,999. This phone has a bigger screen, strong processor, better camera and big battery. Today we will review Nokia 6.1 Plus, Learn more about the features and drawbacks of the phone. Nokia 6.1 Plus is light in weight and it's easy to use with one hand. The phone is compact.Nokia's phone also has the capture of the screen on the front. The phone provided in the phone has a speaker and a front camera. At the bottom of the screen is a small Chin. The back panel of the phone makes it different from other smartphones. The back panel of the phone is shiny and it remains clean. We used gloss black color variants during review. Nokia 6.1 Plus looks beautiful in looks On the rear, there are two cameras on the rear, under which there is a fingerprint sensor. There are no glosses on the edge of the phone and here you will find a metal coating. It does not look bad at seeing and it's okay to look at the overall. On the right side, the volume and power buttons are available on the right side while there is a hybrid sim slot on the left side. Below 3.5mm audio jack and USB type-C charging port is given. Nokia 6.1 Plus has a 5.8-inch Full HD + (2280x1080 pixels) display with an aspect ratio of 19: 9. Corning Gorilla Glass 3 has been given for safety. The smartphone has a 2.5D curved screen which reduces scratches. The settings of the smartphone will provide many software based changes for the display. These include Adaptive Brightness, Ambient Display and Tap to Awake FEATURES. No option to optimize the app for fullscreen While using the games and streaming apps on the screen, Noch hides and the screen turns black on the left edges of the right. But considering the price, the quality of the display is good. Brightness level is average but colors look good. Performance Nokia 6.1 Plus has Qualcomm Snapdragon 636 processor, which is fine. Most of the work is done properly in the phone. We did not have any problem in framing the frames while playing the game.Adreno 509 GPU has been given for graphics in the handset. Snapdragon 636 processor with 4 GB RAM does most of the work right in the phone. While switching between apps, there was no problem in hanging the phone.Occasionally the applications load slowly, but this is not a big problem. Users wanting pure Android will enjoy Nokia 6.1 Plus. 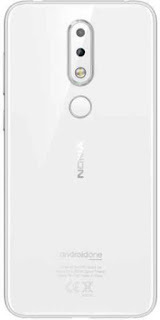 Like other Nokia phones coming in 2018, this device is also part of Google's Android One program. Of the 64 GB storage given in the phone, the user's work is 52.8 GB. As we mentioned, the phone does not get the MicroSD card support. The new Nokia smartphone offers many features, including fingerprint sensor, store manager, double tap to wake.Good and fast OS updates have been promised in the handset which is a good thing. HMD Global has said that updates to the phone will soon be released for the Android 9.0 pie. Nokia smartphones are not known for their camera, especially when it comes to budget phones. Earlier, the camera with a great quality was seen in the Nokia 7 Plus handset. But once again Nokia has paid attention to the camera in Nokia 6.1 Plus. Smartphone marketing is not only done for shooting performance but also AI features for better results. The smartphone has a dual camera setup of 5 megapixel secondary sensor with aperture F / 2.0 with 16 megapixel primary and aperture F / 2.4. The quality of the pictures clicked by the phone is fine and they can be shared directly on social media. Photos come sharper but when zoomed in on big screens the pixels look.Colors look good. The phone has an auto-HDR mode which is set to By default switch ON.Autofocus takes time to move from one subject to the other. Nokia 6.1 Plus brings good pictures taken in Portrait (Live Bokeh) mode. This quality is good for the phone with this price segment. The pictures taken from the phone's front camera were better than our expectations. The phone has a 16-megapixel sensor with aperture F / 2.0. Selfie also comes in low light conditions. The phone does not have features such as OIS and EIS, but the gyroscope is used to stabilize the photos. The video recorded from the phone is fine and features such as Time Lapse and Slow Motion Video are available. 6.1 like 6.1 Plus also gets video recording of 4. Battery with average performance in Nokia 6.1 Plus is given. We have been able to play the battery for about seven hours, play games, edit videos, run social media applications, chat and other tasks. The phone's 3060 mAh battery is operated in 8 to 9 hours with normal use. If you want to run the battery for long, you can turn on the battery saver feature. Nokia 6.1 Plus offers fast charging technology solutions. Nokia 6.1 looks like a smartphone coming up with a perfect package, especially when it costs Rs 15,999. For the first time, HMD Global has tried to give a phone with a less bodied and more screen body ratio, and in this sense the phone is not bad. In the smartphone, basic features are available with pure Android Experience, and the direct collision of the phone comes from the new Shaomie Me A2 smartphone. This phone offers options like 19: 9 aspect ratios screen, compact design, great camera, good battery life and expandable storage. With Android 9.0 pie, there will be more new features in the phone.